Door phones and intercoms provide an important element of a comprehensive security solution. The ability to communicate with visitors or take action, allowing access to employees or approved guests, has long enhanced building security. Mass notification capability for intercoms is becoming more and more important in a society that continues to undergo increasing threats. One feature that has vastly improved door station and intercom products is the inclusion of video. For many door phone or intercom scenarios, the ability to see who is calling is essential. Fanvil manufactures a variety of video door phone and intercom solutions. The following are product spotlights that highlight the features and benefits of the latest models. The Fanvil i18S SIP Video Intercom is an excellent choice for a variety of environments and applications. 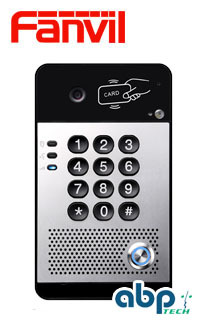 Banks, hospitals, prisons, train stations, elevators, security, education and general access control can all take advantage of the intercom that includes video which provides an added layer of security. Fanvil employs Smart Networking so end users can use VOIP phone, PC or SIP softphone to talk with visitors and monitor remotely. 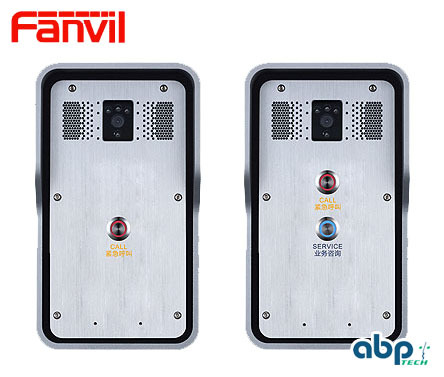 Fanvil i18S SIP Audio Intercoms are water-proof, dust-proof and have a strike-proof design which prevents malicious damage from vandals. IP65 and IK10-rated – with the ability to withstand temperatures to -40-degree Celsius – Fanvil’s i18S is the perfect video-intercom device. The Fanvil i31S SIP Video Door Phone is a high-reliability door phone with dual stream high quality recording with bandwith efficiency, automatic data backup, double watchdog reliability and easy integration RTSP stream to monitor with existing systems. Support for two video streams provides NVR recording or monitoring and SIP video call. The all-in-one i30 Video Door Phone provides both HD video and audio notification. It supports remote DTMF, local password and RFID credentials to open a door. 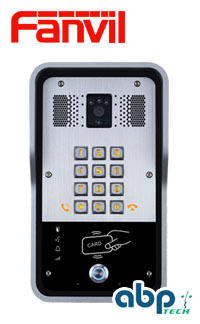 With a numeric keypad design, users can use the dial pad or password to dial a call where the door is open by a proprietor or dial by password which provides an auto door open. With speed-dial button calling, all it takes is one press of the button for easier operation. With Smart Network Configuration, end users can use VOIP phone, PC or SIP softphone to talk with visitors or establish remote monitoring. Applications include office security access, logistic center security access or apartment security control. For office security access end users present an RFID credential or password to open the door. Two-way communication or remote controller opens the door. Logistic center security access allows authorized employee access only. There is also two-way communication between visitors and center administration and support for using a remote controller to open the door. Apartment security control uses two-way communication which makes it more convenient for end users. Doors can also be opened by remote controllers for simple operation and access. Other Articles about FanvilUpgrade Fanvil X6/X5S With the Latest Firmware VersionEnhance Your Door Phones and Intercoms With VideoMejore sus porteros e intercomunicadores con videoFanvil Intercoms Provide Solutions For Any Two-Way Communication NeedsLos Intercomunicadores de Fanvil Proporcionan Soluciones Para Cualquier Necesidad de Comunicación bidireccional.Fanvil ofrece porteros IP SIP duraderos y con múltiples funcionesFanvil Delivers Durable, Feature-Rich IP SIP Door PhonesFanvil se basa en los éxitos de VoIP para ofrecer porteros IP Crystal Clear e intercomunicadores SIPFanvil Builds on VoIP Successes to Deliver Crystal Clear IP Door Stations and SIP IntercomsFanvil IP Door Stations and SIP IntercomsFanvil "X" Series: Simply All That's Needed in an IP PhoneHow to Fix 3CX v15 and Fanvil Phone BLF IssuesWhy Choose Fanvil Phones?